The report reaching us has it that the commissioner of police lagos state, Mr Imohimi Edgal has been suspended. 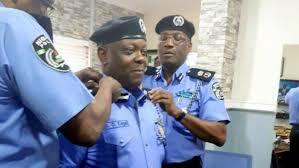 This is coming 24hrs after ordering for the Arrest of Davido, The Lagos State Commissioner of Police has been demand from his position as the commissioner of police back to his old rank as Deputy commissioner of police (DCP). 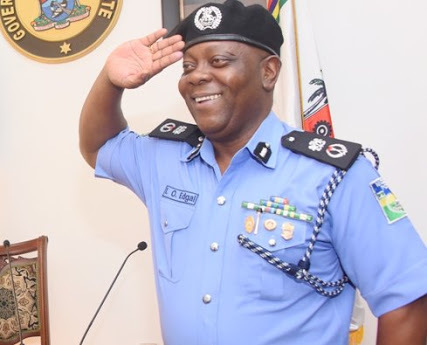 Remember, Edgal is the same Man who led the team that ended the Ikorodu Badoo menance and also lead the Police team that dismantled about 4 Shrines rumored to belong to the dreaded Baddo group in Agbowa, Lagos state. Withdrawal of Acting Appointment: AP. 25095 Mohimi D. Edgal and AP. 36665 Aji Ali Janga’, is, however, addressed to the Inspector General of Police (IGP), Mr Ibrahim Idris, and signed by the Permanent Secretary at the PSC, Mr M.F. Istifanus, on behalf of the Chairman, Mr Mike Okiro. Our letter with Ref No PS/1924/Vol IX/ dated 22nd August, 2017 conveying the Honourable Chairman’s anticipatory approval for the placement of the above-named officers as Acting Commissioners of Police refers, please. “The Commission at its 24th Plenary Meeting of 27th and 28th of September 2017, took a decision not to ratify the anticipatory approval.“The Officers are, therefore, reverted to their substantive rank of Deputy Commissioner of Police (DCP).